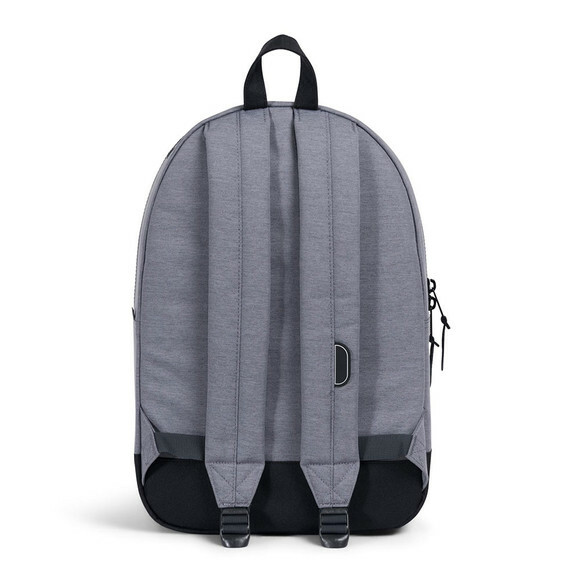 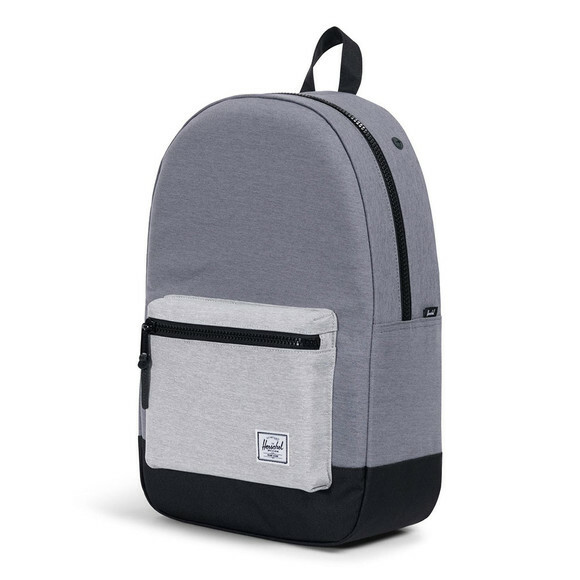 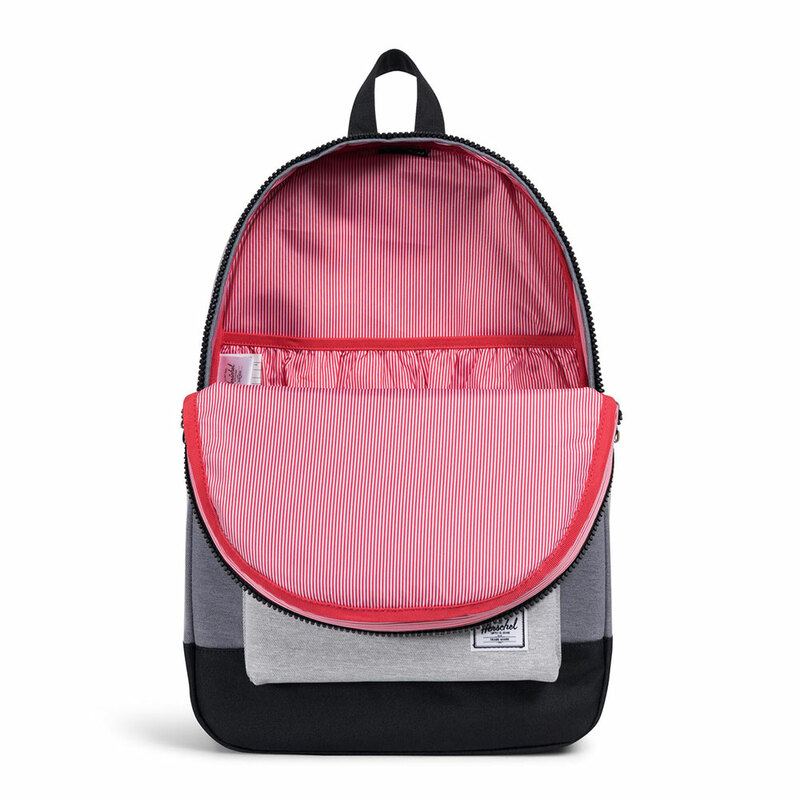 Hershel Settlement Backpack in Marl Grey. A modern twist on an iconic vintage style with unique design features such as a 15" laptop sleeve and media pockets in the rear of the bag quality construction. 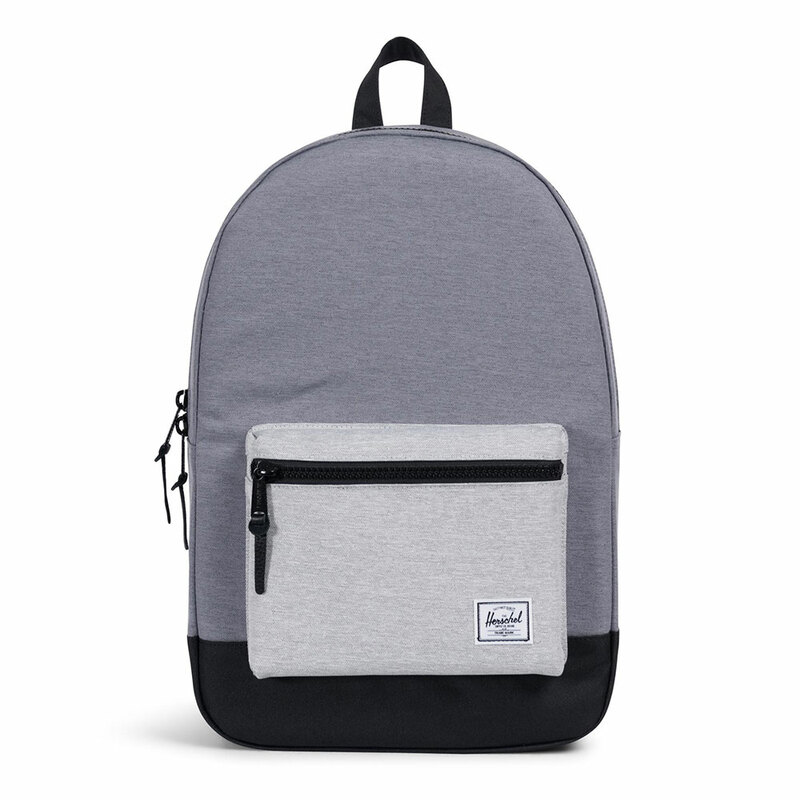 Finished with a Herschel branded tab.